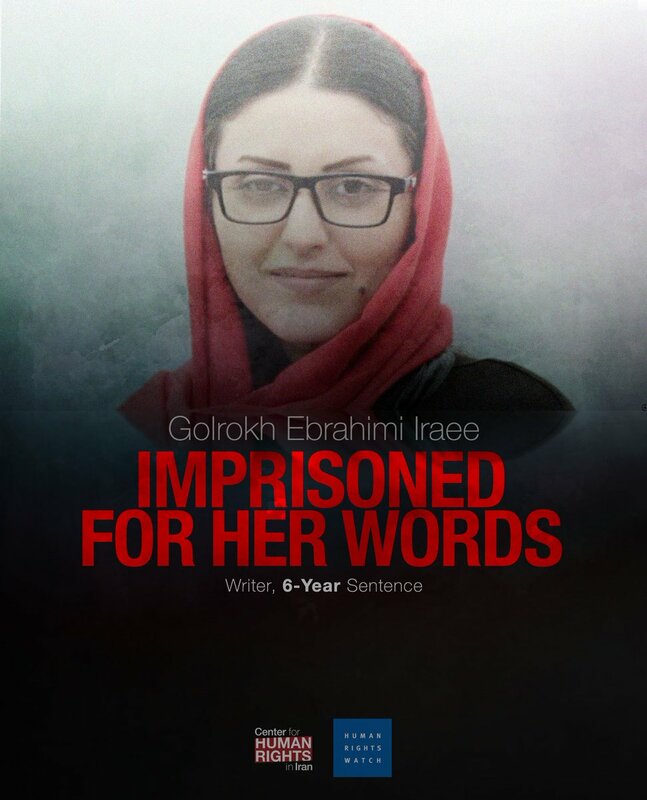 Newly released from prison, civil rights activist Golrokh Iraee Ebrahimi may have to serve more time behind bars depending on the outcome of another case against her, the Center for Human Rights in Iran (CHRI) has learned. Iraee, who had been serving a six-year prison sentence since October 2016 primarily for writing an unpublished story about stoning in Iran, walked out of Evin Prison in Tehran on April 8, 2019, after posting bail set at 60 million tomans ($14,242 USD). According to Article 134 of Iran's Islamic Penal Code, she was supposed to serve at least five years of her prison sentence; it is not clear why she was released at this time. Now she could be incarcerated again if found guilty in a case brought against her and political prisoner Atena Daemi by the director of Evin Prison, Ali Chaharmahali, a source with knowledge of the case told CHRI. "The other case is a complaint against both of them filed by Mr. Chaharmahali, accusing them of a lot of things like 'insulting the leader,' 'disturbing public opinion' and 'propaganda against the state,'" said the source who spoke on the condition of anonymity for security reasons. "Atena and Golrokh have presented their defense and some of the charges have been dropped," added the source. "They still have to present their final defense and it's not clear what the remaining charge in the case is." Daemi, Iraee's former cellmate, has been imprisoned since November 2016, serving a seven-year prison sentence for meeting the families of political prisoners, criticizing the Islamic Republic of Iran on Facebook, and condemning Iran's 1988 mass executions of political prisoners. Iraee's husband, civil rights activist Arash Sadeghi, has been serving a 15-year prison sentence for his peaceful political activities since 2016. He underwent a biopsy in June 2018 and was diagnosed with Chondrosarcoma, a rare form of cancer that causes bone tumors, according to a source with detailed knowledge of his case.